Vidya Balan debuts as an RJ on one of the biggest radio network of our country, BIG FM. 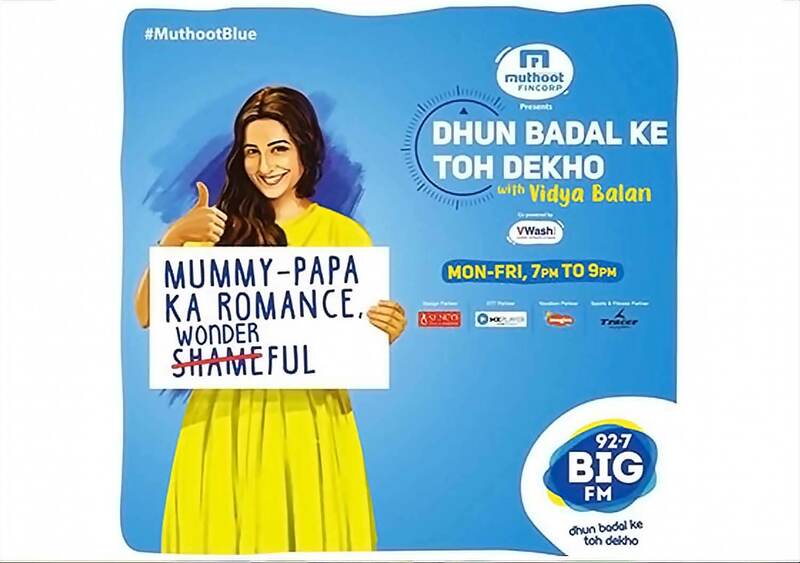 The audio entertainment show went on-air on March 25 and is called Muthoot Blue ‘Dhun Badal Ke Toh Dekho With Vidya Balan’. And the best part is a rap video that the actress has sung herself. Post this Vidya came up with a challenge called #dhunbadlochallenge that is a simple yet tricky dance challenge; all you have to do is follow Mrs. Balan Kapoor’s groovy moves. Actress Sonakshi Sinha and Pataakha famed actress Radhika Madan took up the challenge and aced the tricky challenge. The show airs every weekday evening from 7 pm to 9 pm, with repeats on Saturday and Sunday from 5 pm to 9 pm.